With most of our native grass fires, unless they’re very heavy, you can actually walk through the middle of them. With a gamba fire, you cannot get near it. It’s hard to find a way to explain to people out there the actual heat produced by a gamba fire. With these gamba fires, we’re getting paint stripped off vehicles, the blinkers melt off. Our headlights get melted and that’s happening at 15 or 20 metres. people are getting burnt through their PPE, we’ve had to ensure that we have more than one layer on to stop that heat impacting us. 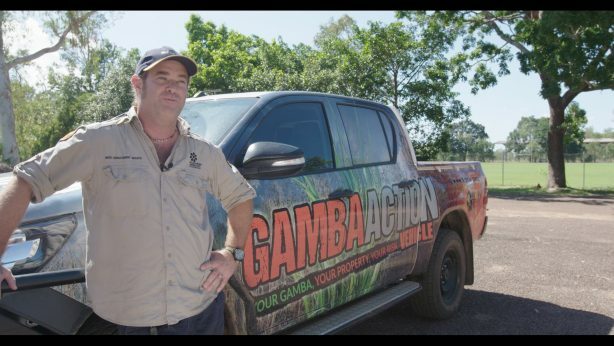 Some of the reports about gamba say that within 100 years, the Top End could actually start to look like the savannah lands of Africa, so it is a devastating introduced weed into the environment here. We all love our rural areas in the Northern Territory, that’s sort of what it’s all about up here, it’s about getting out and having a fish and a bike around, but we want to be safe in doing it. But we want to keep the Territory as the Territory. 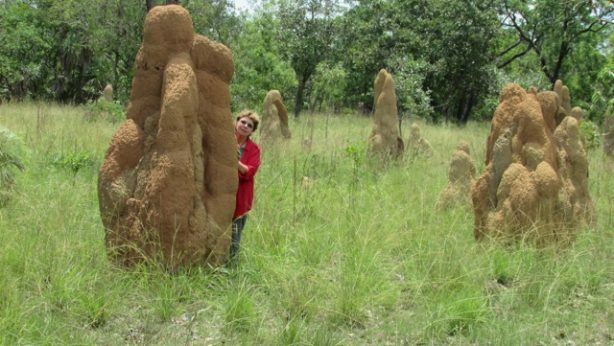 Gamba is a very dangerous grass to deal with in a fire situation. The one message I’d like to get out there is look around your property, identify any gamba you’ve got.